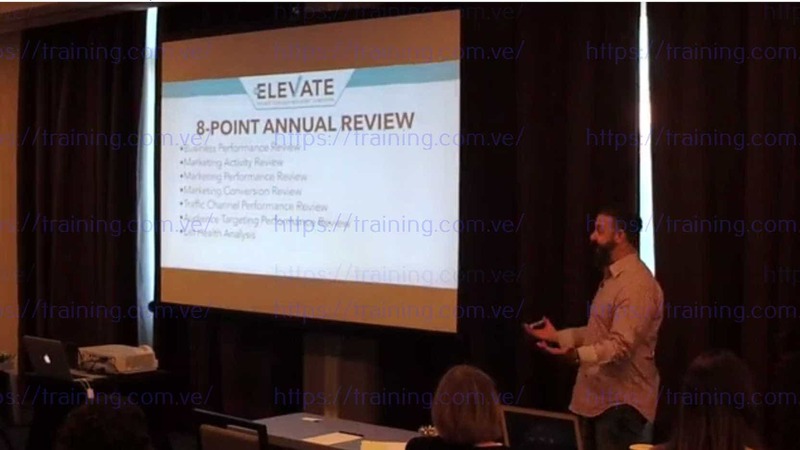 Todd Brown, shares his exact system for structuring your "sales scaling plan" to engineer at least 2X BUSINESS GROWTH! Monster Growth & Scale in 2019! Spots & fixes any weaknesses in your existing business model that can hold your business back from maximum growth! Highlights the perfect customer segments for you and your business to target! Gives you clarity on the best additional sources of profit to tap over the next 12 months! Shows you how to set the proper financial goals and objectives… and how to monitor and report on each! Arms you with the productivity system necessary to see your personal output & business double, triple, even quadruple in size! Equips your business with the systems to thrive and prosper so it frees you of required daily work! Hands you a plan and process to prepare your business for massive expansion! 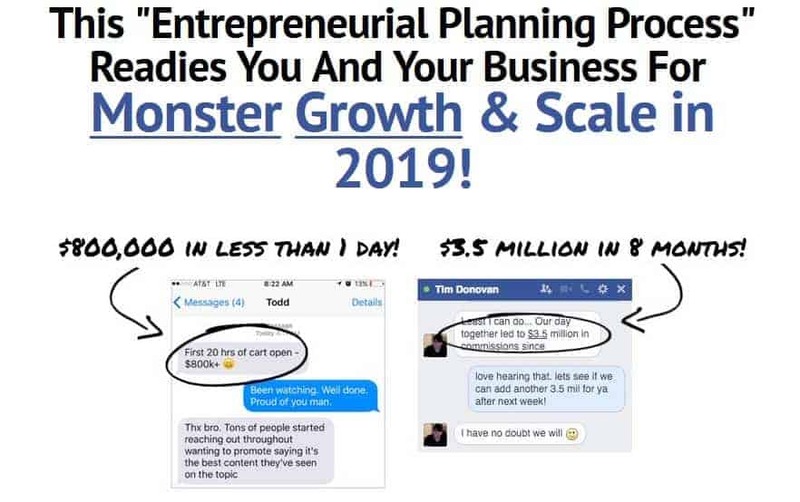 What type of planning and preparation does it really take to scale your business by two-times... three-times... even four-times or more in 2019? What questions should you be asking yourself now, as we're coming into a new year? And how should you answer those questions to prepare and plan? * Should you go after new or different customer segments next year? And if so, which ones and with what offers? * Should you start or expand your team? And if so, how, when, and for what positions? At what pay? And how to manage them? * Should you add new products? And if so, which ones, in what order, and with what type of marketing promotions? At what price points? And what about your old products? * Should you stop doing certain marketing activities and start doing others? If so, which ones, when, how, and for what outcome? * Should you change or tweak your business model? And if so, to what and in what way? * What's the best way to double, triple, even quadruple your customer database? As well as your backend sales, profits, and bankable income? If you can't confidently say you know the right answers to just those questions -- not even all the others -- for your business... your ability to achieve bigger, more exciting financial & business levels is going to suffer. Simply setting "money targets" and committing to "doing more" isn't enough. Deep-down you know that. 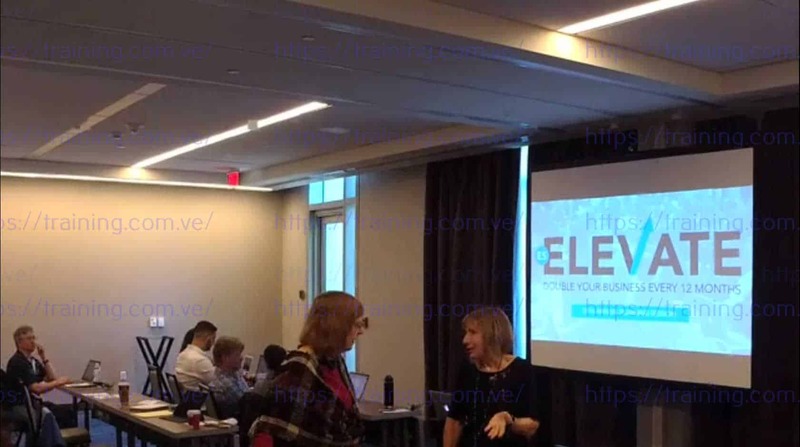 You'll learn the same process, Todd Brown, Founder of Marketing Funnel Automation, continues to use every year to plan, plot, and strategize maximum growth and scale. What Mark Ford (aka Michael Masterson) -- the genius behind the half-billion-dollar-a-year company, Agora -- taught Todd about how to go from zero to one-million dollars a year, fast! And, from one million to ten million. The simple monthly Backend Report that instantly tells you the health of your customer list... and where to focus your attention for greater profits! How to plan and achieve the critical objectives necessary for big financial growth & scale in 2017... using the 1/4 Periodization Model of Maps, Milestones, & Measurements! Todd's personal productivity system for managing and controlling his daily schedule, as well as setting and completing his daily, weekly, and monthly tasks and projects! How to structure and use a unique type of Quarterly Review to keep your business on track and moving forward with momentum as the year progresses! One simple document to perfect & streamline your entire business model, plug any holes, and ensure you have everything in place so the upcoming ear is a breakout year for you! How to prevent entrepreneurial burnout and achieve peak levels of motivation with Todd's personal (weird) psychological hack - Consequence Amplification! The secret to identifying and accomplishing the Big Rocks and priorities in your business so your business and income takes leaps forward each and every month! The one daily and two weekly documents Todd uses to stay on top of our entire company and ensure consistent business growth... and how you can use them too to do the same for your own business! How to finally experience the CEO “Working On The Business” mode of being a real business builder... instead of being stuck every day in the mud of the day-to-day drudgery of "working for and by yourself"! Plus, when you register before the deadline, you also get access to a very special bonus not available anywhere else. With your registration today, you get everything you need to scale your business by two-times... three-times... even possibly four-times or more in 2019. But, you need to claim your access today to ensure you don't miss this. 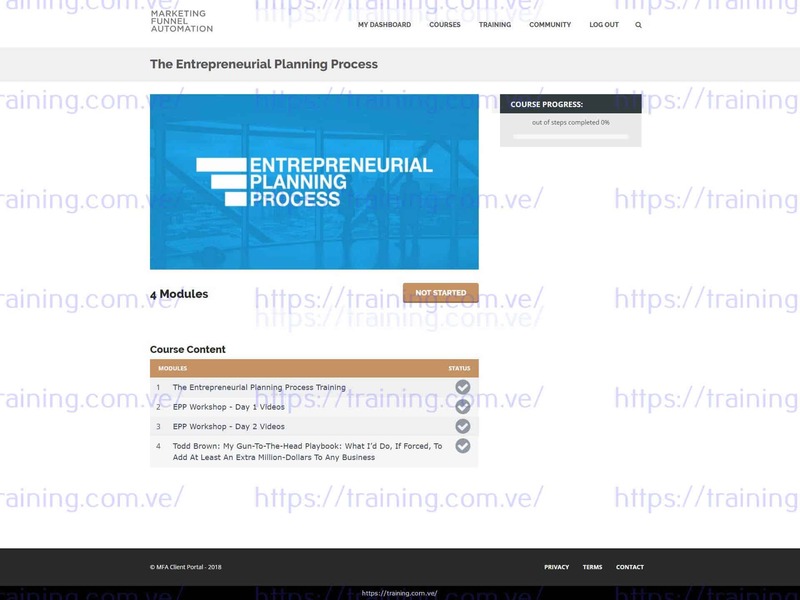 Your opportunity to get the Entrepreneurial Planning Process EXPIRES This Week. So act now to get instant access. If you attempt to do the same thing next year you did this year, why should you expect your business to get bigger, better, and more profitable? This is your chance to learn and use the same Entrepreneurial Planning Process Todd continues to use every year to ensure your business has a breakout year. You don't have to wonder what to do next year to try and scale your business and hopefully grow your income. FREE BONUS: 2-Day Workshop recordings! Watch as Todd leads his highest-level clients thru the entire Entrepreneurial Planning Process. EARNINGS DISCLAIMER: Though the methods Todd teaches have produced large financial returns for a significant percentage of other Marketing Funnel Automation students and clients, this does NOT in anyway indicate that any of what is taught, shared, demonstrated, or given will give you the same results. * None of what is shared on this page should be misconstrued as an income claim or guarantee of financial results. No results are guaranteed.